What is the Infor CRM Sales Module? 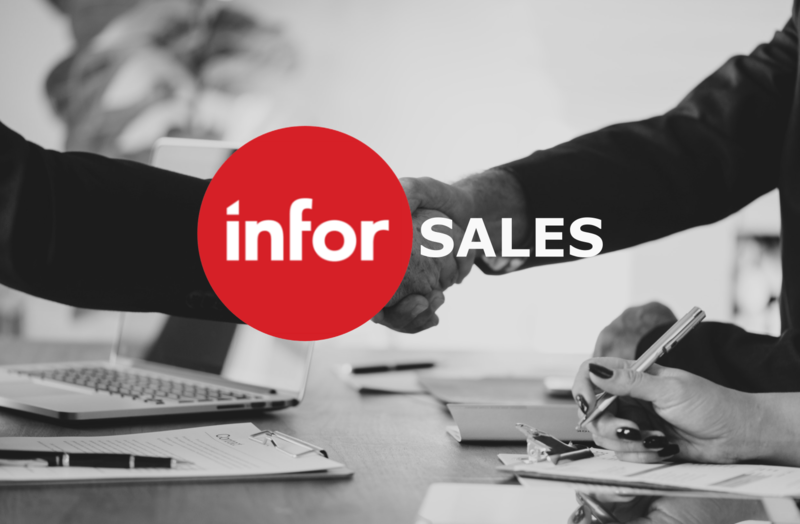 Infor CRM (formerly known as SalesLogix) helps your sales team increase revenue whilst remarkably improving productivity with its powerful salesforce automation features. It allows your sales team to manage leads from an initial enquiry all the way to closing a deal. What are the Benefits of Infor CRM Sales Module? Helps close deals faster whilst driving more revenue. Helps your sales staff be more effective by better collaboration. Builds stronger relationships with customers by using sophisticated Infor CRM features. Forms a strong pipeline by teaming up with marketing. Gains valuable insights into sales trends in the business by using advanced analytics and reports. How Does Infor CRM Sales Improve Your Sales processes? Success for any business is dependent on maximising sales revenue whilst getting your sales team to work as effectively as possible. Infor CRM has a comprehensive set of salesforce automation features that allows you to manage all aspects of customer relationships whilst improving sales processes. Boost sales effectiveness by providing staff with a complete view of all contacts, accounts, prospects, and opportunities that details all interaction with customers and prospects, including email, phone calls, documents, meetings and to do’s for a completely holistic view. Speed up deals with better management of opportunities and increase seller efficiency by using familiar office tools such as word, outlook and excel that work seamlessly with Infor CRM Sales. Mobile users can carry on selling whilst out in the field using their smartphone, tablet or PC, they can record all interactions with contacts which will be automatically synchronised once they get a phone signal or internet connection. Users can also work from home or remote offices and all sales activities are shared across the company. What Can Infor CRM Sales Intelligence Achieve? Increase your team’s performance by monitoring results allowing you to give appropriate feedback to keep your business plans on track, dashboards and reports provide real-time data allowing you to make the appropriate actions. 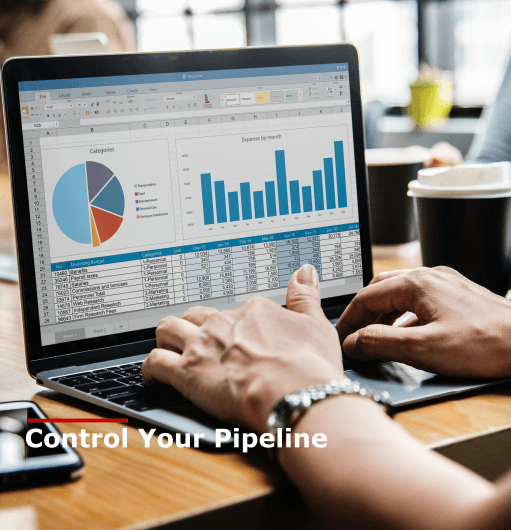 Create stunning dashboards and drill down reports in Infor CRM Sales so your business can monitor targets, trends and highlight further revenue opportunities. 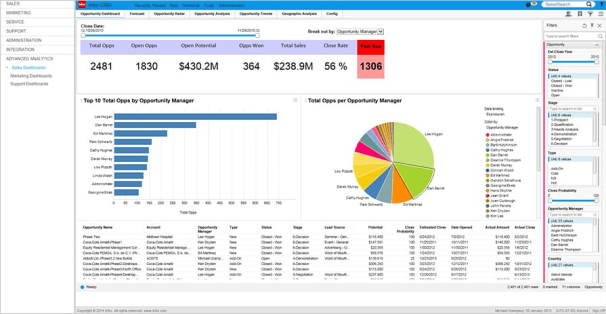 Dashboards can be created for individual sales reps or teams and departments. Access CRM Data Using several Deployment Options. Your sales team can access key CRM data from a variety of deployment options, they can access via the cloud, on-premise, work remotely or from home or access customer information via mobile devices. Hosting your CRM data in the cloud helps reduce the cost and improves accessibility so revenue-generating staff can maximise their time. Use CRM to strengthen your partner channel and achieve deeper relationships. Use Infor to recruit and build a successful channel whilst tracking all interactions for key contacts. Manage and automate processes in your business, from managing all steps from initial lead to the sale, or by making sure all actions are automated for opportunities. Get a full overview of Infor CRM and see how the UK's best CRM could revolutionise your business here.